Narration is great, consistent inflections/accents abilities of George Guidall makes it easy to stay invested and engaged in the story line. The story overall: Solid, kept me tuned in all 17 hours. I will add the ending sort of threw me. Not a bad one, just really didn't see it ending the way it did. 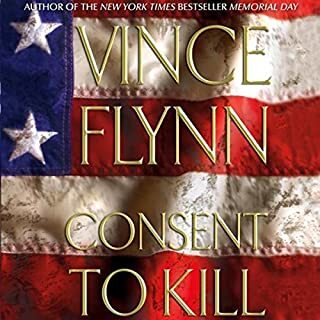 Mitch is like so many other franchised --rogue agent with a heart--formulaic themes, but for some reason I warmed up to his character quicker than my other go to listens like Gray Man, Jack Reacher/Ryan et.al I kept thinking if Harry Bosch went covert gvmnt agent, he would be Mitch Rapp. But that's the die hard Harry fan in my soul. Everyone gets compared to Harry in my listening world...LOL. The fact I dropped into the series at #8 didn't detract from the story line of book eight. There's enough fill in for back story I didn't feel lost due to not reading previous stories, but not so much that it gives away what the listener will get when they work backwards in the series. Going back to book one after finishing this one, fleshed out tidbits dropped in this story line but didn't know what to expect full on from story one. I didn't need the first story line to stay with and follow eight, which is a good thing. The fact there isn't a ton of swearing is a bonus. Don't mind swear words, in fact I'm a fairly proficient purveyor of swear words on occasion, but smart enough and refined enough to know...it's not the right way to impress and when an author needs to throw the F bomb all over the place or have God damming something every other sentence for me--- it is kind of a sign they lack some sense of common conversation skills and/or are---- struggling to get their word count up per publishers' request. The whole story line is polished and P.G...…. which now days is a rare treat/find. Enough detail to let my mind's eye fill in the rest, not overkill verbiage to get that word count up. Off to grab book # 2. If you happen to be an obsessive series junkie, prefer to listen to the stories in order, frankly you could skip this one and not miss much in the back story overall. In fact if you are new to the series, skip this one and come back to it AFTER you have spent some time getting to know the characters. The author gets five stars+ for the fact he fills in the back story enough in each story line, skipping one isn't going to cause the listener to be lost and wondering what they did miss if they read out of order. The story overall......….kinda to all over the map for Gray Man. It's good, just not great. 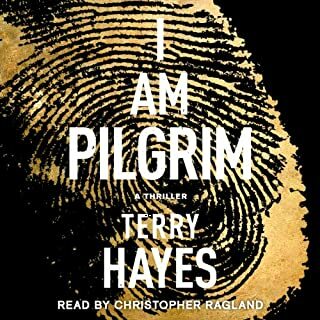 If I had started with this book first, I may not have bothered with any more in the series and I woulda missed out on a great listen overall. This one is just a hot, wet mess and it would be sad to think it turned folks off the series. "OH MAN...don't do this this way!" "Oh for Pete's sake...shoot her whining, bleeding heart, liberal a$$ and put us all out of her misery!!" But that would have ended the story line overall, LOL. Never good to kill off one of the sorta semi- protagonists in the first few chapters, eh? So, gritted my teeth and stayed with it and don't regret it but this one would have ruined me on the series for dang sure, if it had been my first listen in the series.. I'm headed to listen to three...and please Lord...don't let there be a whiney, wishy-washy female in the plot! The best part of the audible book: Michael Beck, he is the only five star part of this mess. He always so spot on nails the local dialects, the inflections and essence of the person speaking I feel like I have a local reading the book for me...in fact it doesn't feel like it is being read to me, it feels like the long lost art of story telling. If you were born before say 1965, the history here between Race issues, WW2 and the overall back story of the 40's will have you possibly nodding and grimacing based on your own memories or memories shared by older family members. Grisham excoriates the powers that be for the utter failure of support for our troops in the Philippines and rightly so. He's done some deep dive research and hasn't candy coated the nightmare that befell our troops there. It was hard to listen to. I'm 59 and recall stories told by family who lived thru that nightmare both here at home....and God bless them, in country. Grisham writes this part of the story without kid gloves. Yes it is told in factual harsh, gruesome, brutal detail and it's not for the weak. If you can't deal with it, frankly you can go from about chapter 27ish to 40ish without missing much of the main story line. If you grew up in the south and again born pre 1965ish, you'll know, understand and wear a heavy heart for the way African Americans were mistreated. 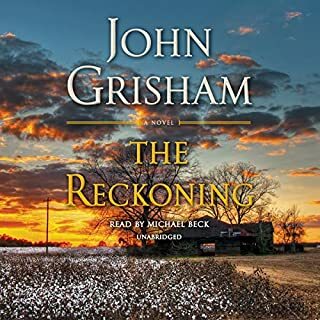 As always Grisham handles the topic of race relations and the disparity of it all with a deft hand...that can only come from seeing it all first hand, someone who grew up in the tail end of the horrid environment and grew up watching the changes of Civil rights happen. The history of executions....mainly "Ol' Sparky". Another point where Grisham is again harsh, unfiltered and brutally detailed. We live near New Orleans now days, I grew up around Tulsa and tho I can relate to the themes of WW2, family issues, buried secrets, Race disparity, my husband grew up in the area that the fictional Clanton is located. Over 40 years of marriage I have come to know the area, the people and the history that isn't in the books. It's beautiful country, the folks are still somewhat like the ones you read about here, in all of Grisham's story lines. People are still down to earth people, farmers and salt of the earth kinds of folks with a lot of bad apples and long buried secrets that go back generations. That stuff folks...it may be fiction here, but I'd bet money that Grisham has had a pretty good view of how that works too, to be able to write so descriptively of how families come apart from the inside out, how they do each other in more often then external forces do them in. I am always enthralled with the way Grisham develops his local characters. I can sense my own husband's family and history in every book Grisham plots out in fictional parts of MS. The main story is so buried in all the other rambles it is hard to find any kind of theme string to hang on to...and not only that...anyone with two brain cells is going to figure it out pretty quick. It all wraps up in the last 13 minutes of the book...utterly and flatly anti-climatic. It rambles in too many direction, too many strings being pulled, it is more like a sweater being unraveled over being knitted together. Too many things left hanging. Take chapters one thru say 23...stop there and add the last 13 minutes of the book....and it's done...stick. a. fork. in.it...….DONE. It would have made THREE great books....but all crammed into this......it's a mess. It feels like Grisham had three stories in a drawer somewhere and decided to just cram them into one book. 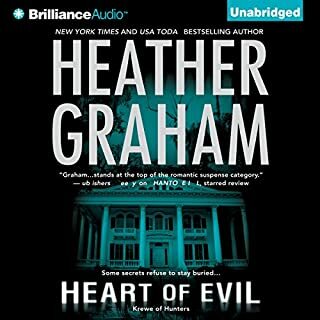 How sad, the talent is there, the hard work is there, Grisham is there..... but "there" is to much all over the place this go'round. Characters that should have been fleshed out more are blown past like they have no purpose in the story line, others that have no purpose get fleshed out way beyond needed for their minor roles. Would ya do this again, do it as a trilogy and flesh it out...cuz man I feel like I missed a lot left on the cutting floor. Ever spent hours with and wanted more of….. is all rolled into this story between Pilgrim and the gritty “kNock Your Punk Down” -----broken but fighting to get back up----- cop. Grab the book, plug in your ear buds and buckle up buttercups. Others have said ii starts out slow, I didn't find it to be that way. I didn't expect the turn it took right away and it was a whiplash of sorts but a GOOD whiplash. 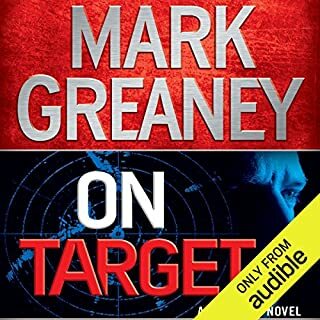 Think Harry Bosch or Amos Decker then WHAM out of nowhere it’s the Gray Man/ Terry McCaleb/ Jack Reacher and then you look at the clock and see you lost four hours and you are going to be late for your evening shift! Then you get to work and beg for solo work/outta public sight….. so you can stick in a small single ear bud…….so you can get back to the story!! Then you get caught up in the story while at work and forget you are suppose to get back on the floor and find your shift manager!! Anyone who listens to audio books often KNOWS a narrator can make…or break…...even the BEST story line. The narration for this book is so spot on it should be a case study for ALL producers on how to get it right! Best 22 hours I have invested in anything…in a LONG time! It didn't feel like a "formula method" of story telling unfolding, not one minute of feeling like "been here, heard this before". Not one instance of fighting the urge to fast forward just a bit to get the story to move faster. If you know the S.O.P. Of the glut of mass churned out paint-by-numbers-formulaic synopsis of the mystery genre ….you’ll have this one figured out in the first 20 minutes. The story is told from five different viewpoints…same story repeated to the point of being annoyingly redundant. The same style could have been used with 75% of the verbiage eliminated, still came to the same badly telegraphed ending in under four hours. The narration was well done considering what the narrator had to work with and the over processed mundanity of the story line. Got it on a daily deal for like 3 bucks…..so all I am out is three bucks and the threeish hours it took me to fast forward to get to the end to see if I was right about how it would end. Wasn’t surprised when I was. Baldacci is just phoning it in now days. He's lost his ----keep us wanting more----chops. If you want a good change up in the cop shop story line of a new female lead...skip this and go get M. Connelly's newest series with Renne' Ballard. This is getting sad...down right depressing since I have been a rabid Baldacci fan since WAAAAAYYYYYYYY back. Great...blew another credit on hack stuff. I can't even rate the story line cuz it was so boring....frankly very little of it is staying with me. Wait.....I can give it one *yawn* star. 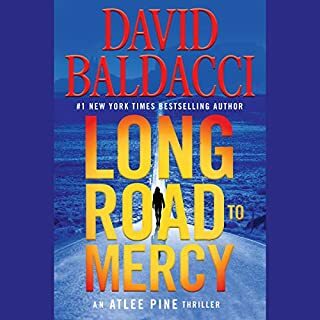 Baldacci is loosing his touch with the turn of a phrase...feels like he has a word count he has to meet and he is using all kinds of filler just to get the book to press on time. He used to keep me hooked from chapter one.....and I couldn't put it down. Last three..... from chapter one I can't stay with them. This one, by chapter seven, I was struggling to stay alert and with the story line. It was just flat out word filler junk that had no appeal. I haven't made it to the end yet..not sure I will...it will be burning too much time I can use to listen to something better. I'm swearing off pre purchase of his books....won't purchase til it has 100 or so reviews.....so I know what I am getting into. The narration was great....what I did manage to stick with anyways. I missed Orlagh reading with Kef, but given the younger age of the new lead female......I think this female narrator was the right choice...too bad she didn't have better material to work with. Connelly slapped it outta the park AGAIN! Rene' is growing on me. The first Ballard book was a solid start to building the new character, but the producers goofed with the narrator in that one. This time the narrator has a good handle on how to read the story AS characters over just reading the story. Lakin's range is great and she uses emphasizes in all the right place. In her words as she reads for Ballard I hear a strong, determined woman to be the best of the best at her job. She's not a woman who has chip on her shoulder and mad at the world because she born a "down trodden--gotta work harder than the man---- gender". As a woman it always annoys me to no end when an author seems to think that type of --female think--makes for a good back bone for a female character...all it does is make things "pc" which is a whole other kind of annoying these days. For me it is not appealing. If I want a -----in my face-----social justice warrior listen, I'll find one on my own. A head on straight--- trying to get the job done cop.....and doing it in a manner that delivers the best product /end results as possible for victims. She's a good --going toe to toe--- with Harry---- match. 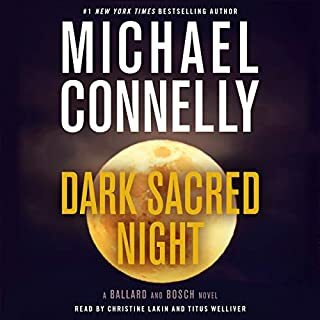 What can I say that hasn't been said many, many times over all the years we have all been binging on the hard copies and now days the Audible version along with the phenomenal Bosch series here on amazon? It is a bit to get used to...having both a female and male narrator, alternating reading for each character. It works and it works well, just not something I am used to with the Harry series. The story line is solid, held my interest to the inth degree. There's some interesting changes in Harry's life, no plot spoilers but I have to say there was a point something in Harry's life made me feel for him as a parent of head strong adult children who don't like parents making changes for their life without consulting them. I binged the dang book starting right after it was in my library and I am bleary eyed and sleepy today, but well worth the binge listen! Was interesting to have Lucky Lucy in the story line, I always thought she and Harry made a good kick a$$ team!! Author should do better research!! I am willing to suspend belief but what the author expects suspended belief here---- in this book---- is just not doable and it has nothing to do with the ghostly story line. That's WHY I grabbed the book on a daily deal. The fact it was based in my home area was a bonus, but WOW....author has missed the mark----------- big time. The author is wilily-nilly with the local and the people in the way she tries to create a vision of the area and the people. Guess she didn't factor in someone who LIVES in the area would ever pick up one of her books. Luke Daniels is a wonderful narrator, I buy many books just because he is the narrator, his range and feel for local dialect is usually spot on, but this one missed the mark so far it was distracting. I blame the producers for this and it seems to be a common problem. The producers should know/understand local dialect and make sure the narrator is informed on said dialect. The sad thing about this book...Luke Daniels can and does nail this local dialect so much at times, in other stories I have listened to, he sounds just like my husband (who is born and bred in this area)and his family. There's some ---off base with the facts social justice warrior stuff---- going on thru the book that is annoying. I live on the very River Road west of New Orleans that is mentioned often in the book. The description of the plantation is pretty much spot on for one that is about 40 minutes west of me. So the author has done some kind of research (Google maybe?) but she absolutely misses the local emotions, but I think she Googled the wrong part of the south. She's got more Atlanta, GA "Gone with the Wind/Tara" going on here...the feel of the characters and the local setting then she has a Louisiana plantation. They may appear to be the same animal, but they ain't, and it is a glaring discrepancies for this local, so much so, it was frustrating to the point of being distracting. About the time I could settle into the story line another "way off base with the fact/feel for the area" would pop up and I'd loose my train of though and enthusiasm for the story line. Like I said I can suspend belief but I can't suspended what is fact.....to enjoy a book. 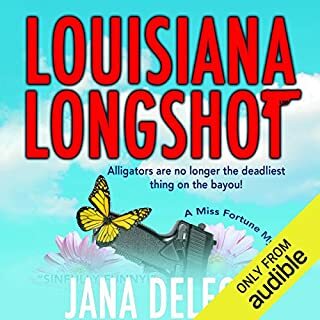 If you want to know what the folks really sound like in the area she used for the background of this story line....go grab James L. Burke's Dave Robicheaux series, narrated by Will Patton. 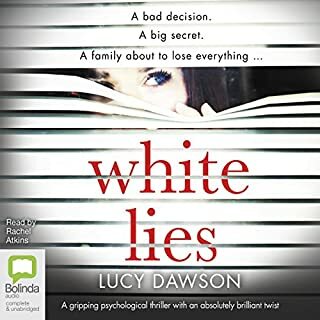 Listen to one chapter and you will understand why a local would be so frustrated with the way the author plotted the local and characters out and how the producers really failed with the narration. Purchased on a whim, thought my daughter might like it since this style of detective novel is always a go to for her. I did try to listen to it...but...by the second chapter, I was out.....for good. It's NOT my S.O.P. reading. I'm a Grisham, Connelly, Baldacci, J.L.Burke et.al. fan. I didn't think it would be fair for me to write a review since I knew going in...most likely wasn't going to appeal to me. MY daughter started it over the weekend gave up at chapter nine or so. "No more Mom of this author, this is just really bad." I asked her to jot a few notes down that I could use as a review. The narrator really misses the mark. The characters beside the main female all sound like goofy Dorks of Hazard screw ups. One reason I couldn't get thru it was the fact everyone sounds like some kind of cartoon caricature. It is obvious the narrator has no clue what people from Louisiana sound like. It sounded like somebody from Michigan doing a really bad imitation of Texans.So many words mangled, mispronounced it made me cringe, at times, grated on my ears. The reading of the male character remind me of that talking bear Bubba I had as a kid. The story line is fluff. I am okay with that, sometimes I want fluff but this was beyond fluff at times, just out right annoyingly dumb. The humor is more slap stick Three Stooges/Key Stone cops. I wasn't expecting sophisticated but I expected more then " a finger in the eye" style sophomoric humor. "WHO wrote this, a 13 year old boy?" 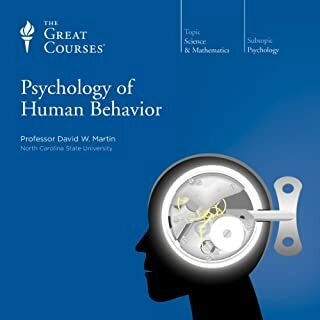 The information is phenomenal, useful and easy to follow for a lay person, but the insane music/clapping at the start of each chapter is annoying as all get out, enough to jar the line of thought one might have in their head from the last chapter. Some of the information is outdated, but there's enough basic info here to for it to be worth the time to listen. My family has a history of struggling with mental health issues from Addiction to Manic Depression. I have been the primary care giver for two family members and watched up close and personal as others in my family worked as care giver with the ones struggling with the issues. We pass around information when we find that it has been helpful and I will be suggesting this series to family but will be warning them about the annoy way each chapter start!